We have been working on a single cell Arduino compatible LoRaWAN low power node for some time now. Many who has been following our work has been asking when will the board will be released. We have to admit this is probably one of the simplest board we have ever design but the testing and validation (whether it’s in the lab or in the real world in sub zero temperature) requires so much of attention and patience. We’ll be talking a bit on the ideas behind this board and what motivates us to perfect it in this article. There’s little or less sunlight at the place you plan to deploy. The temperature at the place you plan to deploy is out of the operating temperature range of Li-Ion or Li-Polymer (whether you are in sub-zero temperature location like the arctic or extreme hot temperature like desert). You don’t want to engage in regular maintenance of solar panel (removing dirt, dust, growing vegetation). Transportation of Li-Ion or Li-Polymer requires special shipment (sea shipment) or it’s not easily available in your market. The environment at the place you plan to deploy is hazardous (example: places prone to peat fires). Availability of battery type – 1.5V AA alkaline batteries are more readily available compare to say Li-SOCl2 batteries. Having the flexibility to purchase your battery easily from the convenient store 1 block away is definitely a plus point. Cost of batteries – this important aspect is usually being overlook by engineers. As the number of nodes being deployed grows larger, the total amount of money spent on batteries scales up pretty fast too. This is a juggling act between technical requirement and financial feasibility. All these points were based on our experience throughout the years of deploying wireless sensor network. Depending on the situation and requirements, we have used both rechargeable and non-rechargeable batteries. Our kind customers has also been giving important feedback on this particular subject. 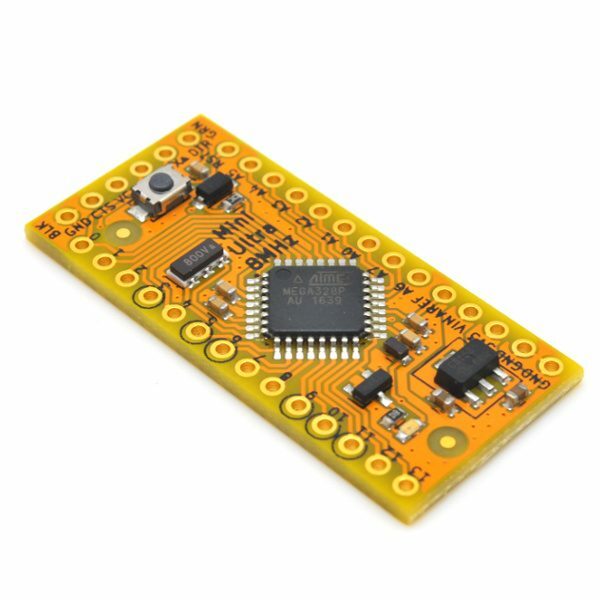 Our Mini Ultra Pro board is equipped with a LoRa module (RFM95W). 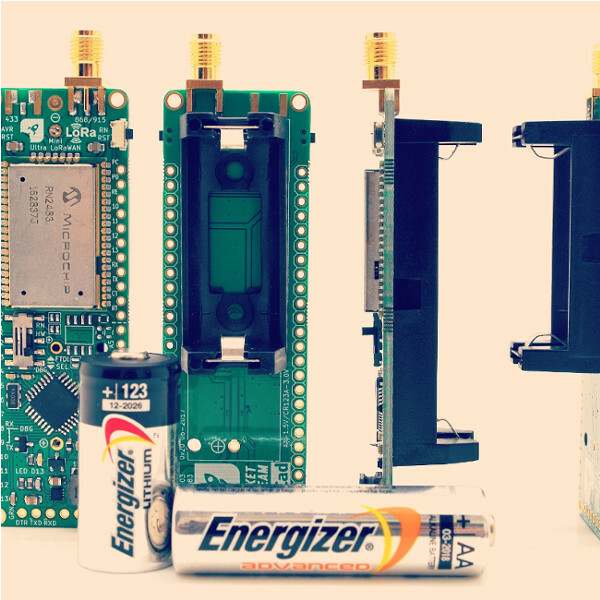 LoRa is a low power wireless technology that provides long range capability using spread spectrum modulation at the physical layer. LoRaWAN is a protocol specification built on top of the LoRa technology developed by the LoRa Alliance. 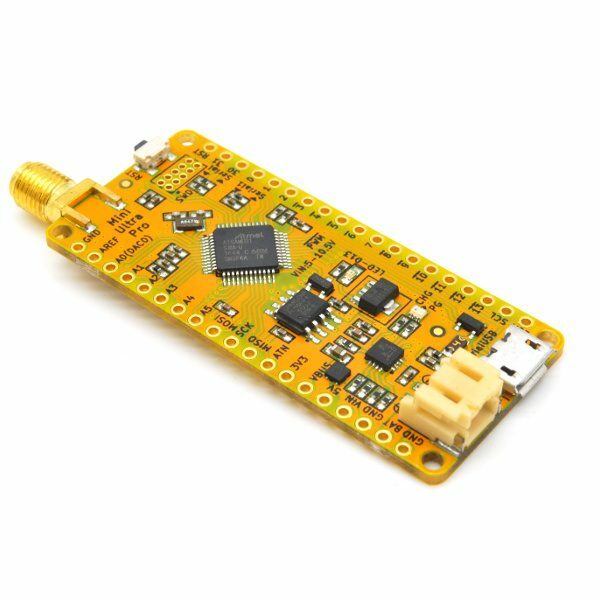 When we first design the Mini Ultra Pro with RFM95W, LoRaWAN protocol was still in it’s infancy stage. 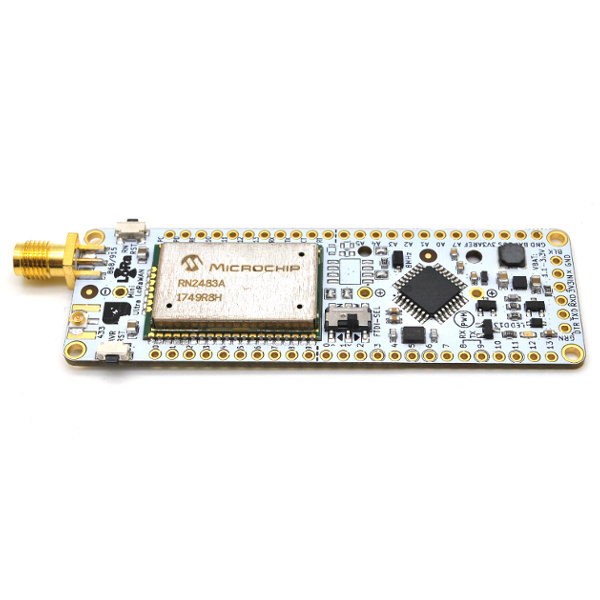 As times goes by, availability of open source LoRaWAN stack such LMIC enables the Mini Ultra Pro to run LoRaWAN protocol stack and hook onto LoRaWAN network such as the The Things Network (TTN). 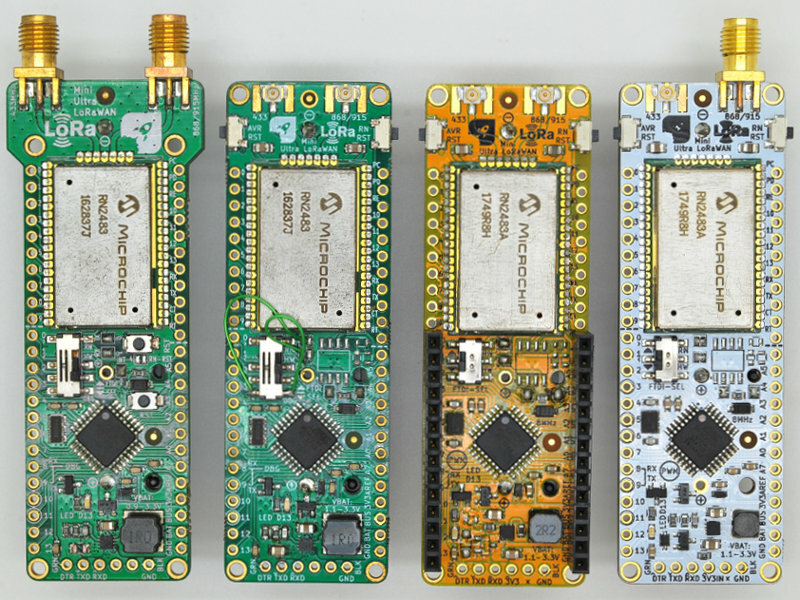 Ever since then, many off the shelf ready-to-use LoRaWAN certified modules such as Microchip’s RN2483/RN2903 are available to speed up the time to market LoRaWAN capable products. 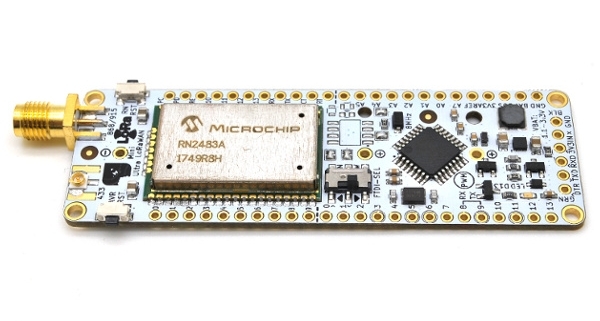 Earlier revisions of the RN2483/RN2903 by Microchip has been buggy (not ultra low power, has temperature stability issues, LoRaWAN stack stability issues, etc) but as time past by, newer revisions of the modules solved many of those issues. Here’s how our initial napkin sketch looks like. Obviously many changes has taken place since then. We have been sending our prototypes to beta user around the world in order to put the prototypes under real world test and validation. 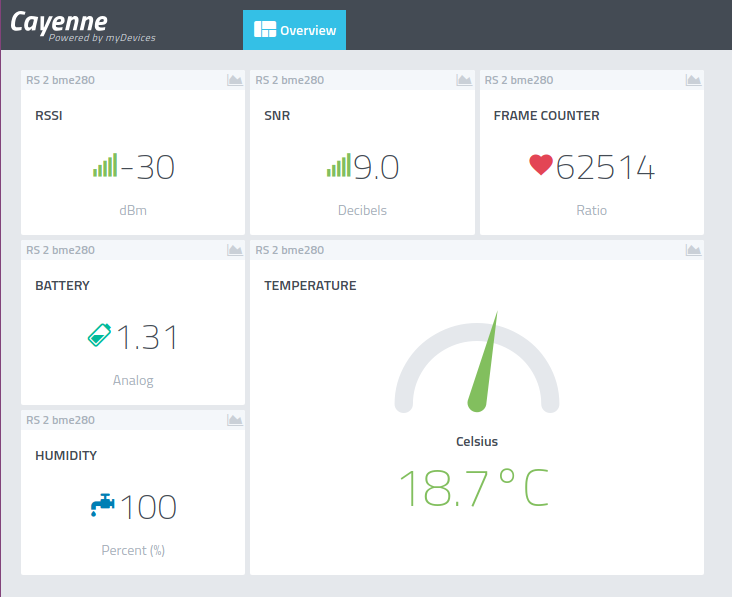 One of our very kind beta tester, Rob (aka BoRRoZ on TTN forum) from the Netherlands is kind enough to share his test results with the public by publishing the data sent by the prototype units across 9 months on a Cayenne dashboard. 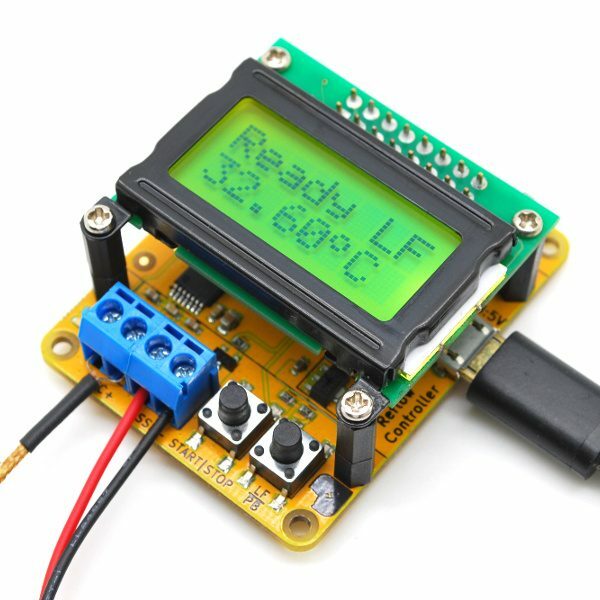 Sensor data such as humidity, temperature, battery voltage, and a free running transmission counter is collected. Here’s how the Cayenne dashboard looks like (circa May 2018). Here’s a latest shot of the Cayenne dashboard (August 2018). The unit has been running live on the his home 1st floor terrace for about 9 months now on a single cell AA alkaline battery. Unfortunately, Cayenne has lost a big portion of the data dated back to October 2017. The board survived extreme cold temperature below 0 º Celsius with different weather (snow, rain, summer) while still running on a single AA 1.5 V battery with over 60k of data packet sent as of early June (frame counter rolls over upon reaching the upper limit of a 16-bit unsigned type variable, Rob didn’t expect it to go this far and hence the unsuitable variable type!!!). Here’s an image of the prototype unit in the winter. 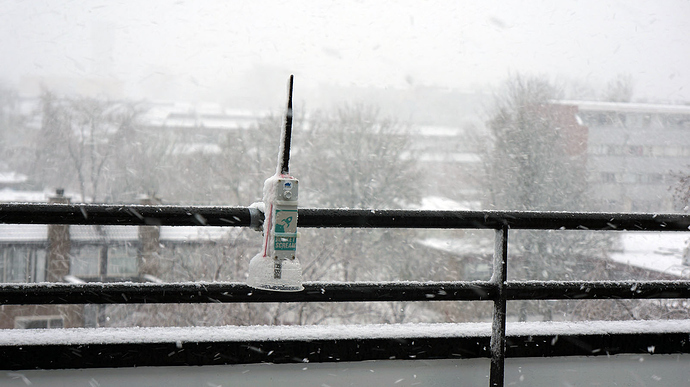 Signal from the unit were received by LoRaWAN gateway located as far as 13 km from the unit using the dipole antenna we carry on our store. Testing the design in the lab itself proves to be a challenging task as each battery type behaves differently and add different brand into the hat, you find yourself with many scenario to verify. The internal resistance of AA batteries also varies between different chemistry. For example, a zinc-carbon based AA batteries has a larger internal resistance (higher power lost) when compared to a zinc-chloride AA batteries. And zinc-chloride batteries usually has larger capacity when compared to zinc-carbon. There are many more factors that goes into the test equation such as self-discharge rate, initial cell voltage, and maximum output pulse current. And yes, we haven’t start talking about alkaline or Lithium batteries yet here! So, what now? Is there an end to this prototyping and testing madness? Uses a 50 ppm accuracy crystal instead of resonator (0.5% accuracy) to provide accurate timing across the entire operating temperature range. On earlier revisions, we were using the hardware serial to communicate with the RN2483/RN2903 which is reliable and accurate but that would mean uploading code onto the ATMega328P would require some “isolating” mechanism to separate both side of the UART. 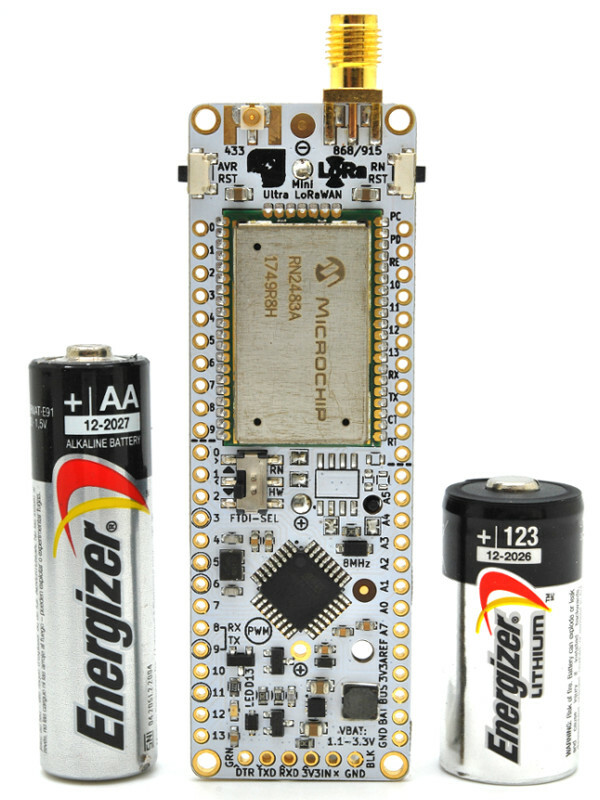 In order to use software based UART as the ATMega328P has only a single hardware UART, accurate software implementation such of that provided by the AltSoftSerial written by Paul Stoffregen (vs the Arduino IDE stocked SoftSerial library) and a more accurate timing source such as crystal instead of resonator are needed. Automatic power input selection either from battery or FTDI 3V3 supply that consume negligible additional amount of quiescent current. Choosing the correct boost converter IC – we prototype and tested many part numbers, talked to many semiconductor application engineers and finally chose the best suited for our design. Support both u.FL and SMA connector for antenna connection. Optimize the minimum battery voltage usable down to 1.0V from 1.2V when use with alkaline based 1.5 V batteries (internal resistance of zinc-carbon and zinc-chloride based batteries are higher and hence it will work down to 1.2 V only). Added optional footprint for encryption chip ATECC508A/ATSHA204A from Microchip that runs on the I2C bus. Although this is not 100% tested (yet), you could use them to store LoRaWAN security keys. We believe the board is ready for public release now. However, only the RN2483 (EU863-870 version) based version will be released first as the RN2903 (US902-928 version) is still not tested over long term usage on the latest prototype revision. If you are looking to be a beta tester for RN2903 version (US902-928 frequency only), please drop us a mail. 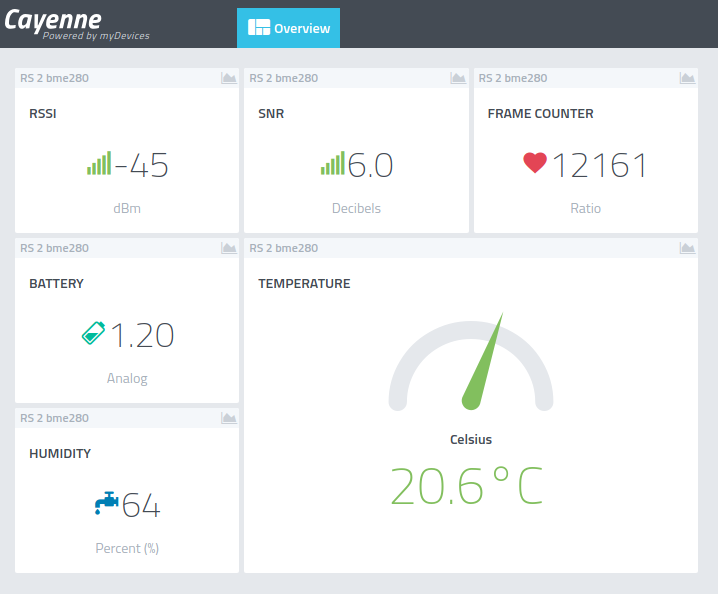 Available units are limited and we expect you to have access to a US902-928 frequency band LoRaWAN gateway and is able to push the data from the unit to a public data dashboard such as Cayenne. We have been requesting Microchip to further support other frequency band such as AU915-928, AS-923 and IN865-867 on the RN2903 and RN2483 modules but it is still a work in progress the last time we were told. 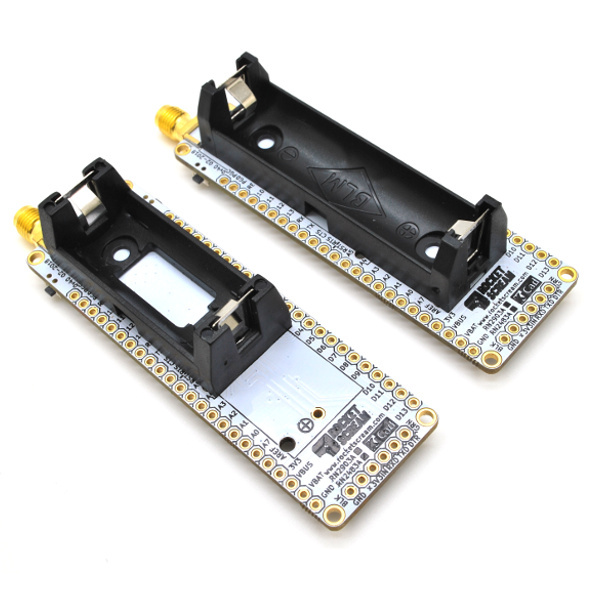 So, if you are expecting these modules are able to run on these frequency band, unfortunately they won’t be able to, at least for now. All parts for the first batch of the boards has arrived while the PCB will reach anytime soon. Main component like the RN2483 module can be very expensive even in bulk for a small company like us. Any pre-order will definitely help us financially in getting more of these modules in hand. As a token of appreciation, we will be offering them at a lower introductory price during the pre-order period. We like to give a big thank you to our fellow beta testers that has been pushing all the prototype units to it’s limit. Without you guys, we wouldn’t have been able to validate the design across different environment and condition. We owe you guys a beer! congrats.. it has become a very reliable low power LoRaWAN board. Thanks Rob for all the extreme testing! What i see here, is Battery Size C !? It’s CR123A 3V Lithium, not size C. But, you can use any 1.5 V or 1.5 V x 2 of any size battery (AA, AAA, C, or D) through the header pins (not using the battery holder). I could not find any schematics? Will it be rady when shipped? Thanks! 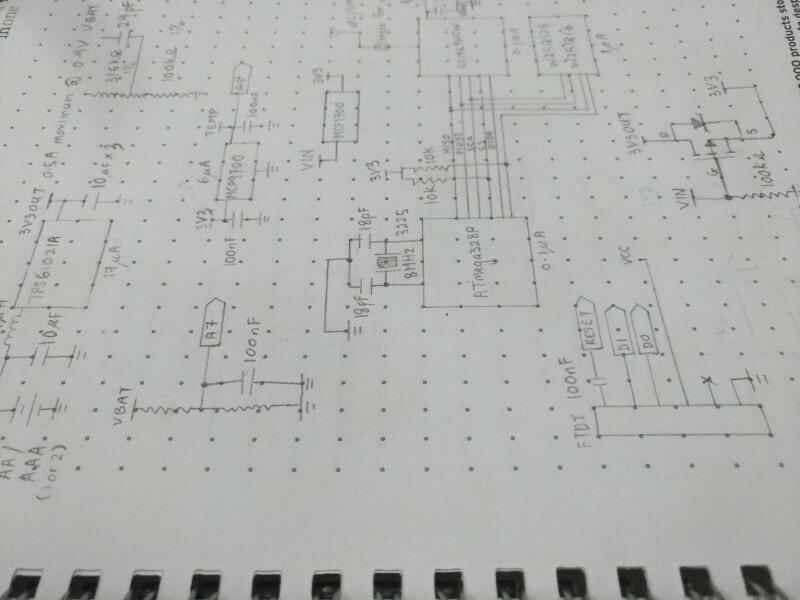 Added the schematic and KiCad files on GitHub! It would be great to provide a comparison table with estimated lifetime of compatible batteries (similar to the battery lifetime table of Fennec Kickstarter—https://www.kickstarter.com/projects/factorylab/fennec-lora-development-board). Thank you very much for the suggestion. Will add that in the next possible time. I am quite fascinated by the cool weatherproof case that BoRRoZ is using. Is this something made by you? Any chance of getting some detailed pictures? I am especially interested in the antenna connection. I also need to have 2 to 3 cables running out of the case, but I have good connectors for those already. No, that was made by awesome BoRRoZ! He’s a master of all those of stuff. The casing I believe was from Aliexpress and he added an air vent (this are hard to get parts) plus the humidity/temperature sensor at the bottom.